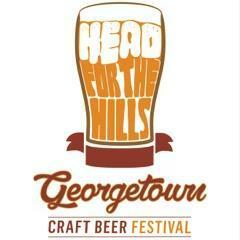 Head for the Hills - Four Fathers Brewing Co.
Who: The four service clubs of Georgetown (Rotary, Lions, Kiwanis& Kinsmen) united to launch Georgetownâ€™s first ever Craft Beer Festival in 2015. Now Head for the Hills is well on its way to becoming an annual late Summer staple. Weâ€™ve got the brews, the tunes, the grub, and the games to prove it! What: Head for the Hills is a day of craft beer sampling in the beautiful countryside. With breweries, food trucks, and live music, this festival is one to remember! Admission includes a customized Head for the Hills beer stein and 4 tokens for 4 (4oz each) samplers of beer. Additional tokens for samples are available on-site for $1 each. Why: Because we know you love beer! And 100% of proceeds go to local charities supported by the four service clubs. Our main feature charity this year isÂ Food4Kids North Halton, a group that provides food for at-risk youth.